Seeing the world has many benefits. If you’re an entrepreneur, you can translate those experiences to become more business-savvy. It requires no evidence to know that travel is an integral part of human life, but it’s startling to see the statistics: More than four billion people traveled by air during 2017. Every minute, thousands of people embark on business trips, while torrents of others are consumed by wanderlust. No matter its primary purpose, travel is full of benefits. But aren’t the benefits for entrepreneurs even more stupendous? Definitely. Travel can create an atmosphere for introspection as entrepreneurs face and adapt to new challenges. It can help develop one’s problem-solving personal instincts, offering a good amount of ways to learn entrepreneurship’s fundamental lessons. Here are just a few. 1. Resolve and ability to tackle challenges. Perhaps the best description of entrepreneurship is a “danger zone.” Starting and running a successful business never happens without at least one or two “What the heck? !” moments. However, the ability to handle difficult tasks is what makes champions. Similarly, travel comes with a variety of challenges and potentially tough situations. And every one of them demands immediate action while requiring you to remain a multidimensional problem-solver. Common travel issues such as misplaced passports, canceled flights, and the need to assimilate into new cultures can bolster your resolve along with your ability to think on your feet. 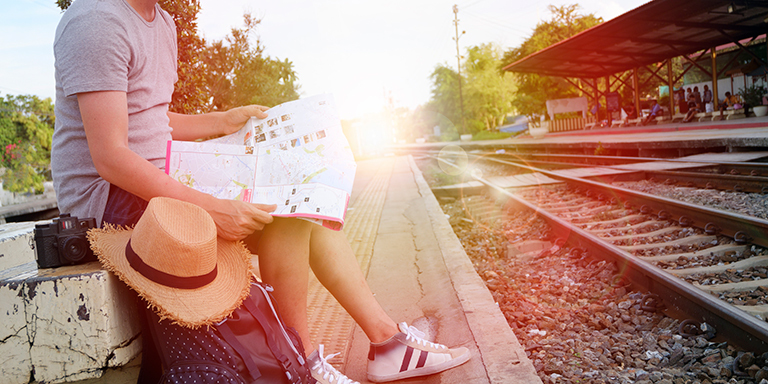 Research reveals that traveling abroad makes the brain more creative. Need proof from an expert? Here’s Columbia Business School Professor Adam Galinsky, in an interview for The Atlantic: “Foreign experiences increase cognitive flexibility as well as the depth and integrativeness of thought, the ability to make deep connections between disparate forms.” In short, unfamiliar situations help the brain learn how to navigate smoothly among different ideas. This life skill comes in handy whenever you’re faced with problems that require new ideas as well as intuition. Entrepreneurs need creativity more than rigor. Innovative strategies can propel you to reinvent your business and scale it from one stage to the next. When it appears you’re out of inspiration, cumulative travel experiences can serve as the bankable source you tap to reveal a fresh perspective. 3. Self-confidence and diversity orientation. Travel is your best teacher when it comes to having the guts to deal with the fear of the unknown. That fear is one of the things that typically weighs down business owners. Travel pushes you out of your shell and takes you to new places. Even when you have no idea of the dangers ahead, travel brings out the confidence in you to march forward. Even better, travel provides you an opportunity to learn how different people interact and operate businesses in different ways. It demonstrates how to adapt to cultural diversity. The same lessons and experience are akin to entrepreneurship core requirements. Travel represents a myriad of uncertainties, and business is full of jaw-dropping events that demand assertive, decisive actions. Workplaces and business in general face a growing need to respect cultural diversity — more proof of what entrepreneurs can (if not must) learn from travel. 4. Networking and business opportunities. Even though the world is unstoppably going digital, face-to-face networking still is the best way to navigate the business world. Travel often presents wonderful ways to stumble across people you never imagined meeting. It’s a networking master class with the potential to lead to major career opportunities. If you’re starting a new business, the exposure and cross-border experiences you gain through traveling eventually will become the bricks for building a viable business empire. You might just be brainstorming now, but a trip could provide the clarity you need. Seeing some of the best-available opportunities around the world could help you choose the right business idea or investment to bring back home. 5. Leveraging technology for business needs. Of course, you must make some trade-offs to gain all of the benefits noted above. To start, you’ll need to leave some work behind you — unfinished or simply paused. This scenario often compels entrepreneurs to fully leverage technology to run their businesses in a world where remote is the new normal for strong, highly capable teams. I run my blog and marketing business with ease from any location, thanks to tools such as Trello and ClickMeeting. Travel makes working remotely an even more pleasurable alternative to confining myself to an office cubicle.